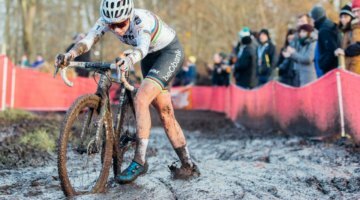 Update: Read the full 2017 World Cup Waterloo women’s report here, complete with full results and photo gallery. 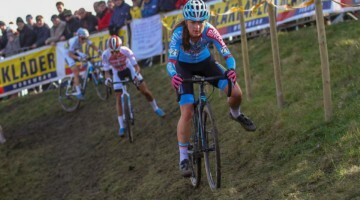 After a slow start, Sanne Cant (IKO Beobank) watched as the other favorites took turns hitting the ground, and kept patient and upright to ride away from her fallen competitors. Kaitie Keough (Cannondale p/b Cyclocross World) took the holeshot early. Typical holeshot queen Ellen van Loy (Telenet Fidea), perhaps feeling out of place in the chase, took her customary turn at the front after the “Little Zolder” woods, and stretched her gap into an impressive margin, only to see it evaporate in the hot conditions after falling on a downhill camber. Keough would return to the front, but would take her turn on the ground shortly after. One by one, bikes and riders tumbled. Helen Wyman (Kona) and World Cup Leader Katerina Nash (Clif Bar Pro Team) stumbled in the pits doing bike exchanges, while Nash, Keough and Katie Compton (Trek – Panache) took spills on downhills and in the woods. 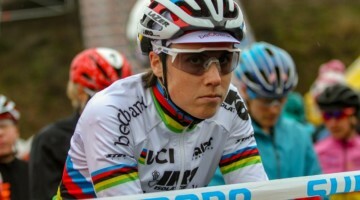 Cant looked to be completely recovered after a dramatic, over-the-bars crash in the UCI C2 Trek CX Cup race on Friday. 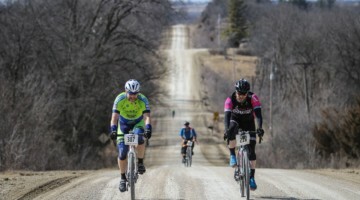 The race for second was an exciting one, with Wisconsin local Keough escaping from a big group of Sophie de Boer (Bree Park), bunnyhopping Ellen Noble (Aspire) and Van Loy and Caroline Mani (Van Dessel). Compton, who was stung by a bee yesterday, suffered with allergy problems in the heat. Stay tuned for a full report. 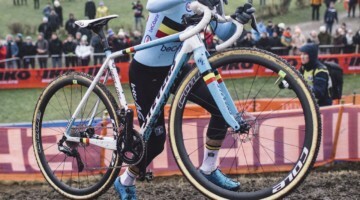 See all our World Cup Waterloo and Trek CX Cup coverage here. Check for live streaming video status and streams here, and follow our embedded live updates via our Twitter feed even if you can’t watch. 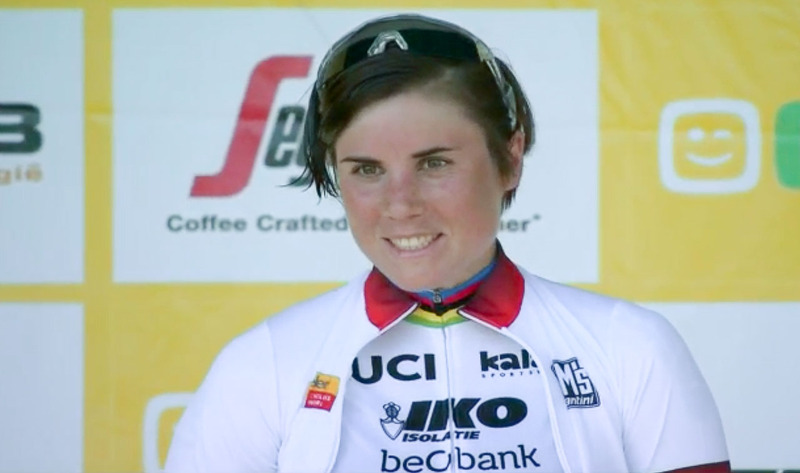 After a tough crash on Friday, Sanne Cant is all smiles after her World Cup Waterloo win on Sunday.